This was etched to commemorate the 2017 Total Solar Eclipse. 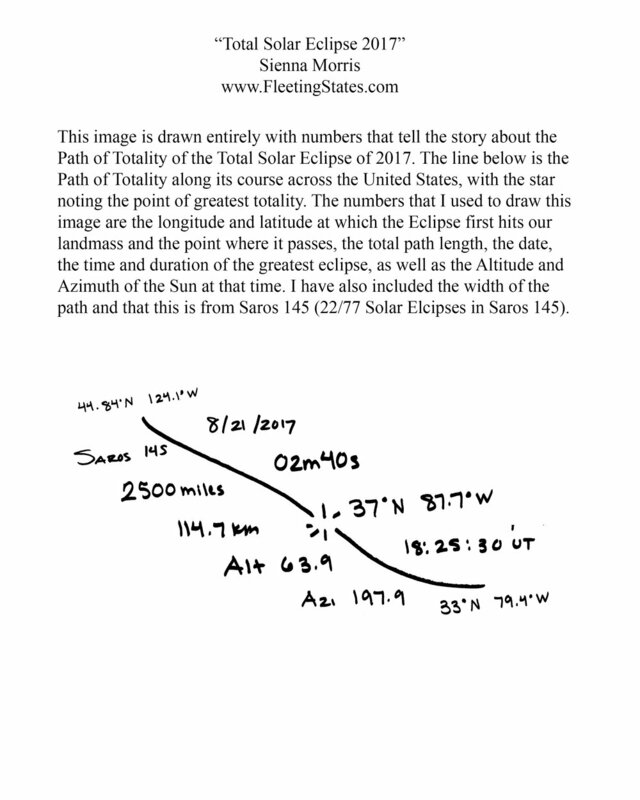 It is drawn entirley with data relating to the event, including the duration, date, coordinates for the greatest point of eclipse, the Saros series and more. Scroll down for the full description, whcih is included with the print.